NASA has huge expectations and they feel that only 24 of them will be needed for saving space for other items during supply runs. It will take two to three years to change out all 48 nickel-hydrogen batteries that make up the solar power system. Astronauts on Friday went for spacewalking to fix new batteries on International Space Station’s grid. The three new lithium-ion batteries were to be installed by Commander Shane Kimbrough and Peggy Whitson. These batteries were delivered by Japanese in December 2016. 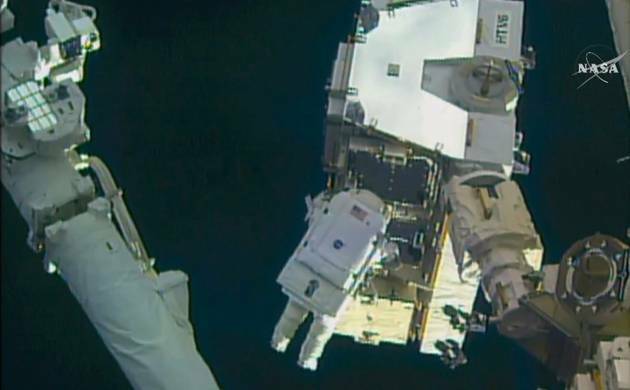 NASA’s chief astronaut, Christopher Cassidy, said from Mission Control that sticky bolts often stymie astronauts, so everyone was grateful to hand over the chore to Dextre. The goal is to replace 12 aging nickel-hydrogen batteries with six smaller but more powerful lithium-ion power packs that were delivered to the International Space Station last month attached to a pallet in the cargo bay of a Japanese HTV cargo ship.